When I signed on with this brand in 1998, the world was just waking up to it as some kind of overnight success, more than 20 years in the making. 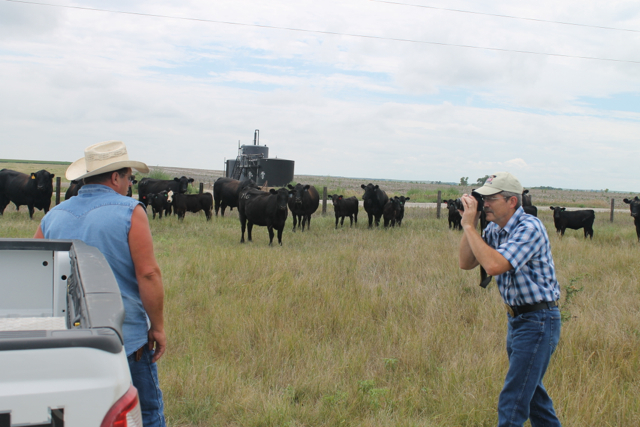 I had black cows as a sideline to my profession as editor of Beef Today, and knew CAB was spoken as the three letters rather than a taxi-like word, but I did not know how it worked. A month before creation of the job I would hold for almost 19 years, I was not a big fan. Over a September lunch with Larry Corah at Carlos O’Kelly’s, I learned enough to win me over. A month later, I was in the wave of new fans, and brimming with ideas to gain more active participants in this hot concept. To turn a 1996 movie quote, I would “show them the money,” how to make more with higher quality. The words should make a lasting impression on people who raise beef cattle. That was my goal: to make their commercial herds more profitable by producing better beef each year. My practical experience was as a part-time cattleman with 100 mostly black cows. The people I wrote for (not the editors, the readers) mostly had much more experience, so I never saw the mission as promotion or trying to tell anyone else what to do. I’ve reported the stories of hundreds of producers across the country, and have learned from each stop. We had time. 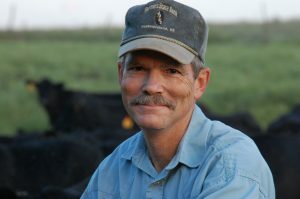 I would find examples of successful Angus producers to share their stories about turning to Angus genetics, and their realization that they needed to include carcass traits. I wrote a column about how little a black hide means, what a poor goal average is, what a loaded word it is to say somebody is “chasing” carcass traits. True believers launched CAB in 1978 and carried it to the point where 85% of fed cattle went to licensed packing plants. Only about 17% of black cattle qualified for the first 30 years. It was owned by Angus producers, but few realized it in ’98. Like me the year before, they only knew CAB promoted Angus beef and had some kind of deal with USDA to identify cattle. Some grumbled it wasn’t “Angus” enough and hoped it wasn’t wasting their dues. Common ground was my advantage as a communicator. I knew what it was like to see my black calves top the market, but the new job led me to take a new step. Our family weaned calves for 45 days and fed steers with one of the new CAB Feedlot Partners. Six months later, I learned mine were only 10% CAB and 10% Standards, the rest split between Choice and Select. Selling those on a grid paid much less than the previous year’s unweaned market-toppers. I would spend the rest of my professional career sharing the experience of others who moved up from that level to 50%, 70%, even 90% CAB and Prime as my own herd approached those levels. 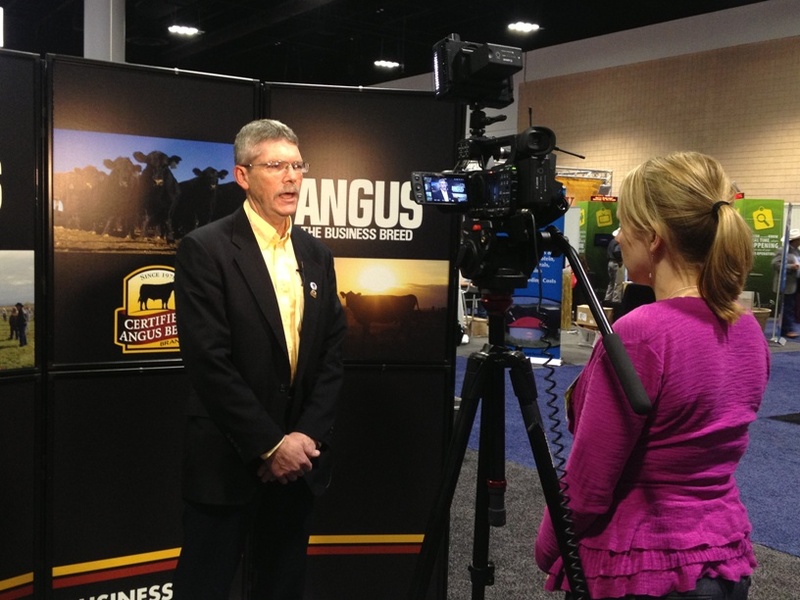 This July 1 marked a turning point as I stepped back from my post as Director of Industry Information for the Certified Angus Beef ® brand. And since we’ve changed the division name to Producer Communications, we joke that I am the only I.I. director CAB ever had. But the evolved division is in seriously good hands with my colleague of 11 years, Miranda Reiman serving as director of a team that now includes specialists Laura Conaway in Florida and Nicole Lane Erceg in our Ohio office, both former interns. There are some great freelance contractors as well, and I work with all of them as Senior Editor, though no longer full time. 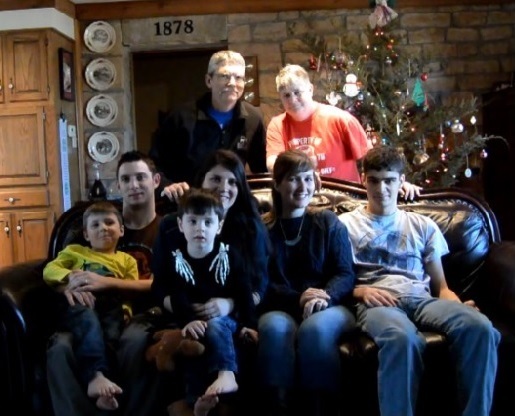 My family: wife Anne, our son, two daughters and their husbands, and two grandsons. This is a step down a long path to retirement as I devote more time to family and the Angus cow herd, but I’ll remain part of this CAB team for several more years. And I will never stop being part of the CAB family. I weaned calves last weekend, so transitions are on my mind. I set the calves up for success as I have our team in Producer Communications. I’m confident they will do well as they head off on their own. It’s fun to see how far this “herd” has come from the early years. Social media, video news–that was unknown territory for us several years ago. Now, it’s just one more way we reach the masses. It’s fun to see all the stuff we’re working on now that we wouldn’t have dreamed about then, before we knew about Facebook, Twitter and Instagram, before we imagined a weekly video news release to support our informational mission. It’s fun to see our 16,000 partners around the world selling more than a billion pounds each year, and a dozen consecutive record years. We’re on track, thanks to the professional cattle producers who identify with our mission. Inspiring legacy. Thank you for sharing. Congratulations on being a great salesman for ideas and for pursuing excellence and doing it in a manner that gently and effectively pulled cattlemen to higher ground. Enjoy the nest stage. Congratulations and well done – you’re rare! (Insert groan.) You’ve had quite an impact (and continue to do so!) on people outside of the producer communications team, too. Thank you! P.S. Yours is perhaps the best bio I’ve ever read. Who would have thought a small town Kansas boy would have the influence to change an industry. Great job and thanks for creating demand and pull through for Angus genetics! I have always admired your writing style of facts and knowledge laced with wit. Enjoy your retirement.